The drought in the Southwest and West has hit record levels in California, is drying up the Colorado River Basin and is shrinking the cattle industry in Texas, as well as causing damage throughout the entire region. But researchers say this is only the beginning and that there is evidence that climate change is leading to a megadrought "that will grip that region and the central plains later this century and probably stay there for decades," Darryl Fears reports for The Washington Post. The study by NASA and Cornell University and Columbia University "warned of major water shortages and conditions that dry out vegetation, which can lead to monster wildfires in southern Arizona and parts of California," Fears writes. 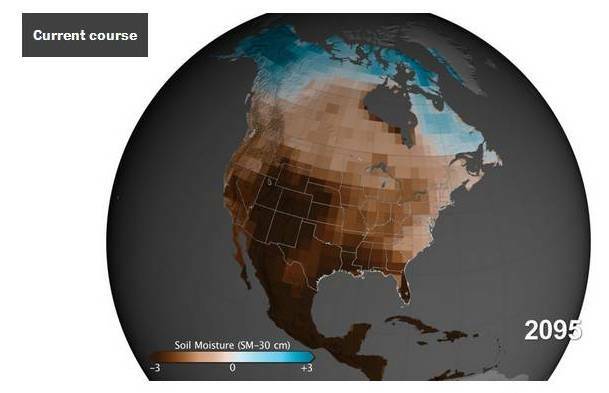 "Megadroughts are sustained periods of sparse precipitation and significant loss of soil moisture that span generations, about 10 times as long as a normal three-year drought." Researchers say there is an 80 percent chance that a megadrought will occur between 2050 and 2099 "unless world governments act aggressively to mitigate impacts from climate change," Fears writes. Oklahoma lawmakers have proposed a pair of bills to deter a rise in cattle rustling and theft of farm equipment, Jeff Guo reports for The Washington Post. One proposal sets mandatory jail time for stealing farm animals, and the other allows farmers and ranchers to shoot down drones that they fear belong to potential thieves scouting the area. A Senate bill that would mandate a prison sentence of five to 15 years for stealing farm animals or machines and a fine equal to three times what the equipment is worth cleared a committee this week, Rick Green reports for The Oklahoman. 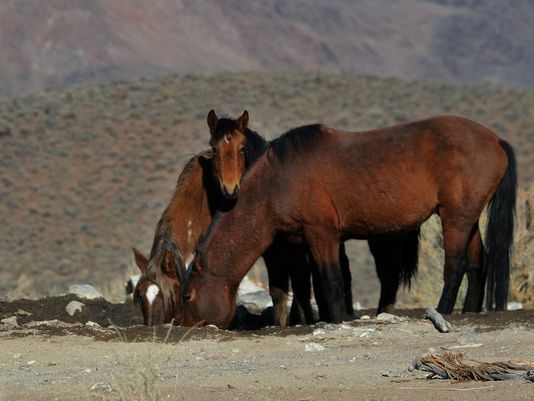 "Animals covered under the measure include mules, cows, horses and more. A lesser prison term of six months to three years would be required for the theft of a dog, sheep or goat." Under current law, a person caught stealing cattle can avoid prison by paying a fine equal to three times the value of the cattle stolen, Green writes. "The alternative to the fine for the theft of cattle is a sentence of three to 10 years." The "country’s very first coal plant designed to capture and sequester a portion of its carbon emissions" is currently under construction in Kemper County, Mississippi (Wikipedia map), Sara Bernard reports for Grist. Mississippi Power is building a $1.8 billion power plant fueled by Mississippi lignite coal. "By converting coal into synthetic gas, the plant would be much safer and cleaner than traditional coal-burning power plants. It would also be designed to capture 65 percent of its carbon emissions." The plant, which meets EPA proposed standards, is scheduled to open in 2016. But for local residents coal is still coal, Bernard writes. "With a mean per capital income of $13,795 and a third of its residents living below the poverty line, Kemper County is one of the poorest counties in what has long been the poorest state in the union. Some 10,000 residents are spread across roughly 750 square miles of rolling pasture, rambling creeks and thick timberland full of yellow pine and sweet gum that runs up to and across the Alabama border." A bipartisan effort to reshape Appalachian Kentucky's economy in coal-depressed areas has been all talk and no action, retired miner Stanley Sturgill writes in an op-ed piece in the Lexington Herald-Leader. 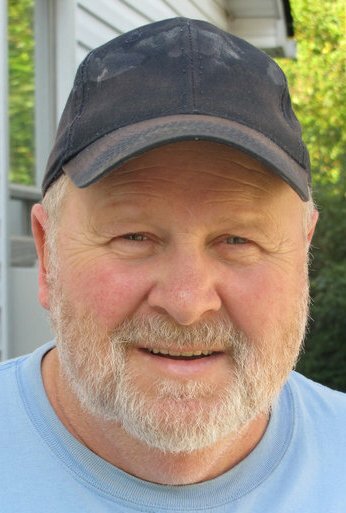 Sturgill, from Harlan County, writes that Shaping Our Appalachian Region, launched in 2013 by Democratic Gov. Steve Beshear and Rep. Hal Rogers, a Republican, "in my opinion (and the opinion of many fellow citizens) has not done anything for us in our county." SOAR was introduced in Occtober 2013, held a summit in December 2013, formed an executive committee in March 2014, announced in April 2014 it was planning work groups and is holding another summit on Monday. But Strugill writes that the summit, and the $10 registration fee—$15 at the door—is pointless. Researchers say that in addition to lung cancer, artery disease, heart attacks, chronic lung disease and stroke, smoking also can be linked to "significantly increased risks of infection, kidney disease, intestinal disease caused by inadequate blood flow and heart and lung ailments not previously attributed to tobacco," Denise Grady reports for The New York Times. The study, co-authored by researchers from the American Cancer Society, which funded the study, was published in The New England Journal of Medicine. In January 2014, acting Surgeon General Dr. Boris D. Lushniak released a report that said smoking also causes diabetes, colorectal and liver cancers, erectile dysfunction and ectopic pregnancy. Both reports are bad news for rural areas, where smoking is on the rise. A study by researchers at the University of Washington and in Germany, published in Population Health Metrics, said that 26.9 percent of adults in non-metro areas were smokers in 2010. The Government Accountability Office on Wednesday released its high risk list—which flags federal programs especially susceptible to fraud, waste, abuse and mismanagement—ranking health-care delays for veterans as one of the U.S. government's most pressing problems, Josh Hicks and Emily Wax-Thibodeaux reports for The Washington Post. 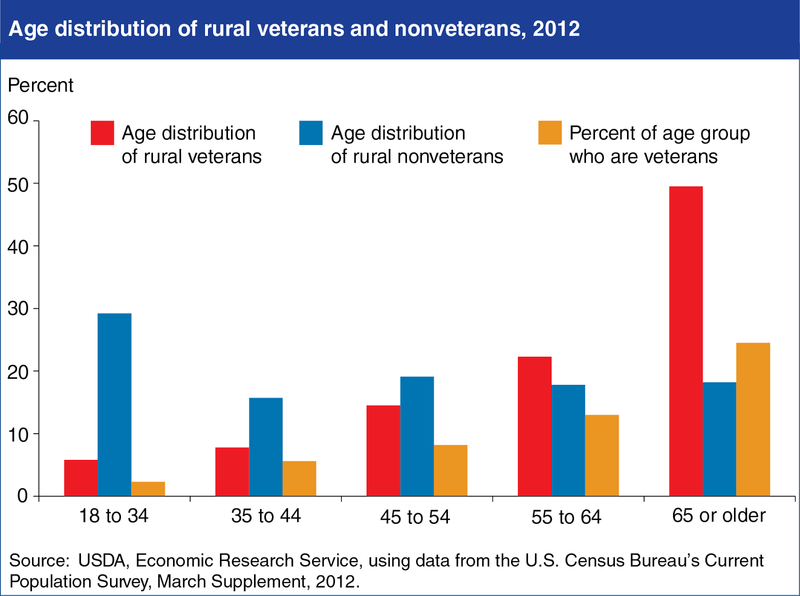 Half of all veterans in rural areas are 65 or older, and many have to wait months to schedule an appointment with the Department of Veterans Affairs then travel long distances to get to there. "This year’s report identified 32 areas of concern. Among them was the Department of Veterans Affairs’ $55 billion health network, which was at the center of a nationwide scandal last year involving falsified wait-time data," Hicks and Wax-Thibodeaux write. "The GAO suggested that the VA needs to address problems with timeliness and quality of care within the system." The first veto showdown between President Obama and the Republican-led Congress will center on the controversial Keystone XL Pipeline, Sean Sullivan reports for The Washington Post. 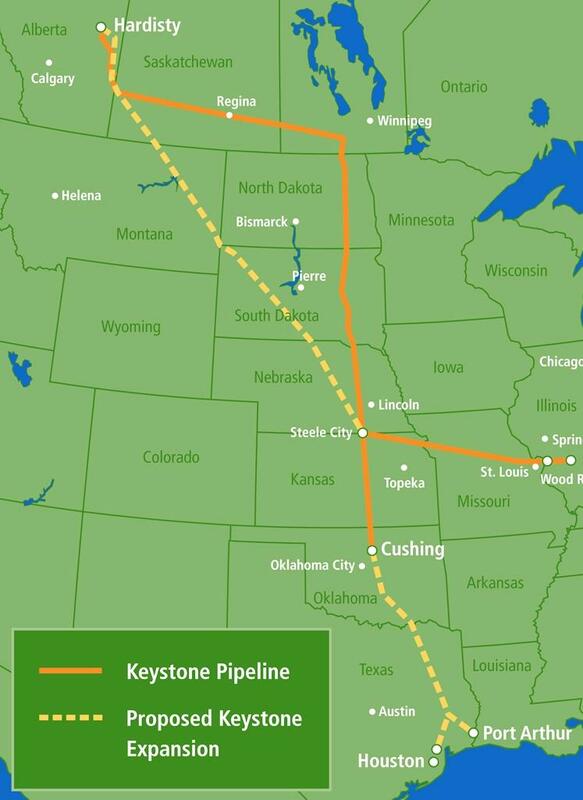 The House passed the Keystone bill Wednesday by a vote of 270 to 152. The bill cleared the Senate last month by a 62 to 36 margin. Obama has said from the start that if the bill passes, he will veto it. Congress lacks the necessary two-thirds majority to override a veto. A top Environmental Protection Agency official on Wednesday dodged a question from Sen. Shelley Capito (R-W.Va.) about why the agency failed to hold in coal country any of its 11 scheduled public listening sessions about proposed climate rules. The rules are designed to cut CO2 emissions by 30 percent by 2030 from existing power plants based on emission levels from 2005. In response to the proposed rules Congressional Republicans have accused President Obama and EPA of declaring a "war on coal." Capito, a member of the Senate Environment and Public Works Committee, asked Janet McCabe, head of air and radiation at EPA, why none of the meetings were held in West Virginia or other coal regions. McCabe never directly answered the question but instead told Capito, "We did have a lot of meetings around the country. When we were scheduling national level meetings, we wanted to have those in locations where people were comfortable coming. We used a lot of EPA offices." It's never too early to begin planning for Sunshine Week. This year's event is scheduled from March 15-21. Sunshine Week, which began in 2002, has evolved into a week for groups—especially news media—to promote the importance of open government and freedom of information. The Sunshine Week website has already begun posting resources, such as logo, icons, a sample proclamation for state and local governments and a page for students and educators. Leading up to Sunshine Week the website will provide opinion columns, editorial cartoons and state-specific resources. "For inspiration on the kind of work that can be done utilizing public information, please review our FOI in Action page and peruse the Bright Ideas collections from past Sunshine Weeks. To see what was offered in earlier Toolkits, visit The Vault," says the website. America's Farmers Grow Rural Education is accepting applications from public schools to compete for grants of $10,000 or $25,000 to enhance math and science education. The grants, which were created in 2011, were designed "to help farmers positively impact their communities and support local school district," says America's Farmers. This year the Monsanto Fund is awarding a total of $2.3 million in grants. Farmers who live in an eligible county can nominate their local school district through April 1. After a school district receives its first nomination, the Monsanto Fund will notify them to design a project that enhances math and/or science education in their district. School districts are then responsible for submitting grant applications by April 15. Winners will be announced in August. Schools can be nominated by calling 1-877-267-3332 or by clicking here. Privately operated prisons have become common in rural areas, especially those desperate for jobs, but often deny Freedom of Information requests, claiming they should be exempt because they are private entities, journalism professor Alexa Capeloto writes for The Crime Report, published by the John Jay College at the City University of New York, where she works. Incarceration is a vital government function, Capeloto writes, but private prisons keep out of reach such useful records as staffing levels, budgets, rates of violence, prisoner demographics, security measures and health care. Eight percent of prisoners and 49 percent of immigrant detainees were held in privately run centers in the U.S., and the number has risen 1,600 percent from 1990 to 2009, Capeloto reports. 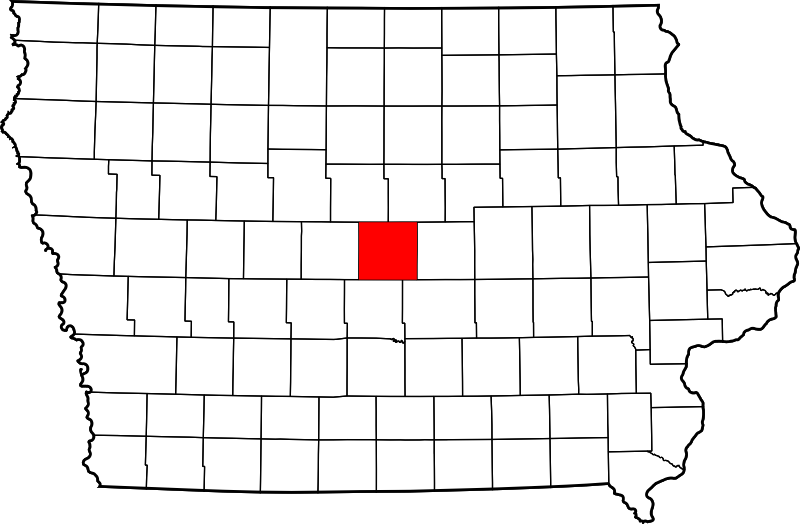 The 137 facilities are run by the Corrections Corporation of America, the GEO Group Inc. and the Management and Training Corporation. "CCA, the largest among them, generated nearly $1.7 billion in revenue and netted a $300 million profit in 2013," Capeloto writes. "Government contracts, funded by taxpayer dollars, form the vast majority of this revenue." U.S. Rep. Sheila Jackson Lee (D-Texas) introduced a bill to require these facilities to release more information, but the bill is the sixth of its kind that Democrats have introduced since 2005, and it isn't likely to go anywhere, Capeloto writes. In most states, no legislation requires private prisons to share their records, and "This failure has left courts to do the heavy lifting when private contractors deny FOI requests to services once handled by government." Capeloto says an update of freedom-of-information laws is needed because privatization has changed the boundaries between public and private. Until that happens, the issue should be taken to the courts, she argues. Health insurance rates in the South are expected to rise by as much as 35 percent, making coverage no longer affordable for many people, Ollove writes. "Some believe that if the tax credits are disallowed by the Supreme Court, the underpinnings of President Barack Obama’s signature health care law would collapse." "At issue in King v. Burwell, scheduled for oral arguments next month, is whether people in states that use the federal government’s exchange to buy insurance are eligible for federal subsidies in the form of tax credits to help them pay their premiums," Ollove writes. "The case hinges on the fact that the ACA provision governing tax credits refers to people enrolled 'through an Exchange established by the State,' without mentioning the federal exchange. 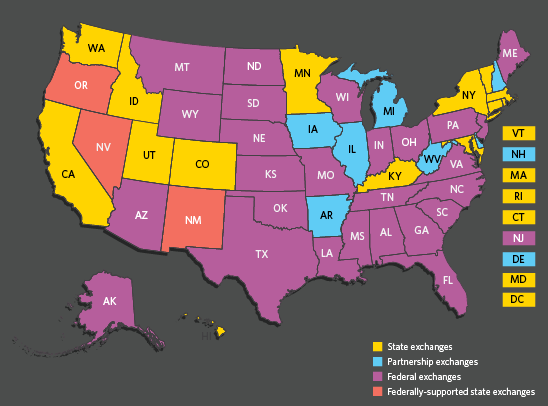 The ACA anticipated that all states would create their own state exchanges, but it allowed states that did not want to set up their own exchanges to use the federal one instead." "In the 34 states where people use the federal exchange, an estimated 9.3 million people are expected to receive $36.1 billion in tax subsidies in 2016," Ollove writes. "A recent analysis by the Robert Wood Johnson Foundation and the Urban Institute estimated that if the Supreme Court blocked these subsidies, 8.2 million of these residents would not be able to find affordable health insurance in 2016." Of those people, 61 percent are non-Hispanic whites, 62 percent live in the South, 71 percent work at least part time and 82 percent are considered to be low- or middle-income rather than poor. A Central Iowa program designed to encourage rural residents to report suspicious behavior has become more advanced, with the addition of a website to allow local residents to become more active in reporting crimes, Gavin Aronsen reports for the Ames Tribune. Farm Watch, launched one year ago, is a partnership between DuPont and the sheriff's office in Story County (Family Search map) that asks farmers and rural residents to place signs on or near their property with a phone number to report suspicious activity. Program participants are given "local identification numbers that can be used to track down stolen property from around the country," Aronsen writes. ID numbers can be used "to mark personal property against theft, potentially allowing law enforcement officers to return stolen goods even if they are discovered months later by police outside the state." "The Fish and Wildlife Service advised its fellow land management agencies to impose the most stringent protections on roughly 16.5 million acres of high-value sage grouse habitat in order to save the bird from the threat of extinction," Phil Taylor reports for Greenwire. More than 63 percent of the bird's 165 million acres of habitat is on federal lands, and Bureau of Land Management manages most of it. In November 2014 Fish and Wildlife listed the grouse as "threatened." 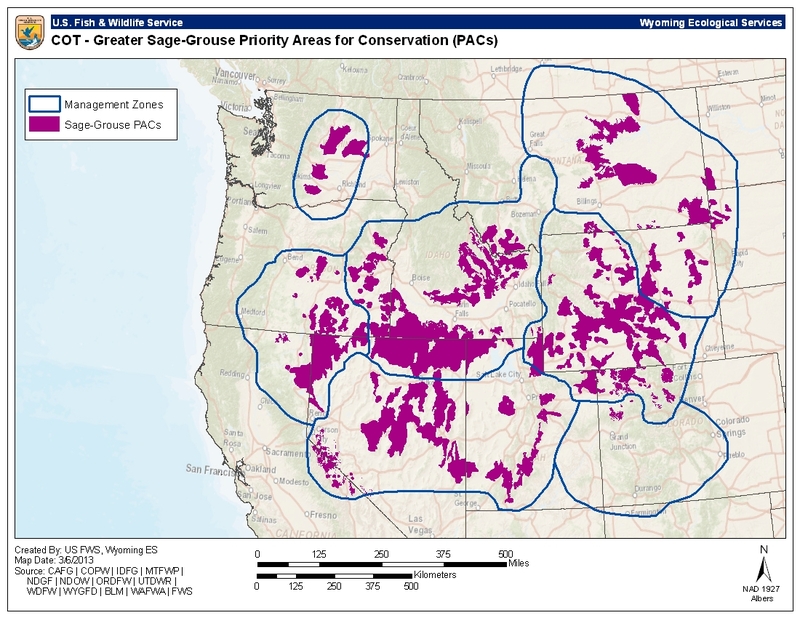 The future of the species' designation will play a major role in determining the fate of sales of leases on 8.1 million acres of federal oil and gas parcels that are on hold because of worries that drilling could harm greater sage grouse. Also, this week Utah Republican Gov. Gary Herbert "ordered state agencies to make protecting sage grouse a priority when making decisions on issues from development to firefighting," Brett Prettyman reports for The Salt Lake Tribune. Herbert said listing sage grouse as "endangered" will put restrictions on farmers, ranchers, natural resource extraction and energy development. He told Prettyman, "The concern we have here in Utah that in doing so [a federal listing], it will have a significantly devastating impact on our economy." 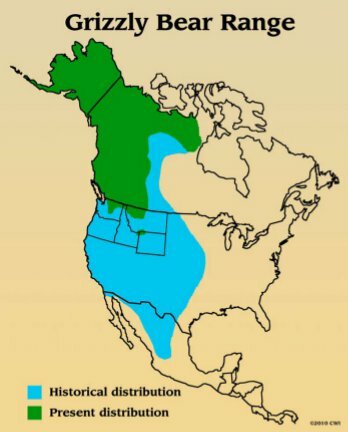 Only four percent of sage grouse are found in Utah. 2015 Appalachian Studies Conference scheduled from March 27-29 in Johnson City, Tenn. The 2015 Appalachian Studies Conference is scheduled from March 27-29 at East Tennessee State University in Johnson City, Tenn. This year's theme, "Many Mountains, Many Musics," challenges participants "to view Appalachia from a fresh perspective and discover its emergence as a creative, dynamic force," says a news release. This year’s Keynote Speaker is Margo Miller, executive director of the Appalachian Community Fund. Cost is $150 for individuals and $100 for students by March 2. Costs after March 2 are $175 and $125. To register click here. Farmers and rural small-business owners can apply for money to buy and install renewable energy systems or to improve energy efficiency under a program in the new Farm Bill. "These efforts help farmers, ranchers and other small business owners save money on their energy bills, reduce America's dependence on foreign oil, support America's clean energy economy and cut carbon pollution," Agriculture Secretary Tom Vilsack said in a news release. Through the established Rural Energy for America Program, the Department of Agriculture is providing more than $280 million to eligible applicants. USDA will give grants covering up to 25 percent of project costs and loans for up to 75 percent of project costs for renewable energy systems and energy efficiency improvements. Each applicant can receive up to $500,000 in grant money and up to $25 million in loan money. Recipients must use commercially available technology, including renewable energy from wind, solar, ocean, small hydropower, hydrogen, geothermal and renewable biomass. Projects eligible for funding include lighting, heating, cooling, ventilation, fans, automated controls and insulation upgrades that reduce energy consumption. To see application details, go to page 78929 of the Dec. 29, 2014 Federal Register or contact state USDA Rural Development offices. 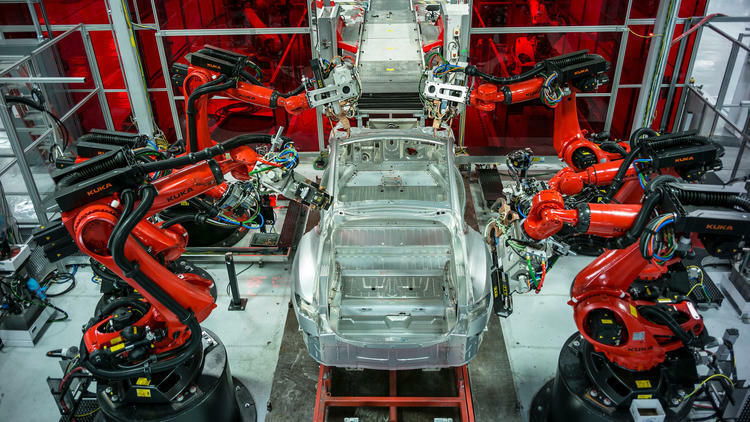 The study says that "within two years, the number of advanced industrial robots in the U.S. will begin to grow by 10 percent a year, up from current annual growth of 2 percent to 3 percent," Davidson writes. Within a decade 25 percent of all manufacturing functions will be automated, up from the current number of 10 percent. "About 1.2 million additional advanced robots are expected to be deployed in the U.S. by 2025," used mostly in four areas: computer and electronics products; electrical equipment and appliances; transportation; and machinery. RBC Global Asset Management said in a separate report that "robots can be reprogrammed far faster and more efficiently than humans can be retrained when products are updated or replaced—a crucial advantage at a time when smartphones and other products quickly fade into obsolescence," reports The Associated Press. "Increasing automation is likely to change the way companies evaluate where to open and expand factories," leading factories to employ fewer people that are likely to be highly skilled. Because the hog industry has mostly recovered from a deadly virus and cattle ranchers are still trying to recover from the 2012 drought, pork is on the verge of passing beef as the second most produced meat in the U.S. behind poultry, Megan Durisin reports for Bloomberg. Pork output in 2015 will go up 4.6 percent, climbing "to a record 23.908 billion pounds, as per-capita consumption reaches the highest in five years, the U.S. Department of Agriculture said Jan. 12." Beef output will drop 1.7 percent to a 22-year low of 23.901 billion, while chicken jumps to an all-time high of 39.206 billion pounds. A bill in Virginia that would have prohibited farmers from hiring non-relatives under 18 to work in direct contact with tobacco leaves was shot down last week in a lopsided vote by a Republican-controlled House committee, Travis Fain reports for the Daily Press in Newport News. "Virginia already has extensive child labor laws, but there are exemptions for farming." "The bill would have addressed reports that show nicotine poisoning and other problems in children who work on tobacco farms," Fain writes. "The nicotine leaches into their skin, activists testified, causing nausea and other problems. Sometimes children wear garbage bags to protect themselves from the leaves, which exacerbates concerns of over-heating in the hot sun. Human Rights Watch said in May 2014 that children, some as young as 7, are getting sick working in tobacco fields. The New York Times reported in September 2014 that teenagers, most of them immigrants, are being exposed to health dangers while working 12-hour shifts in tobacco fields. 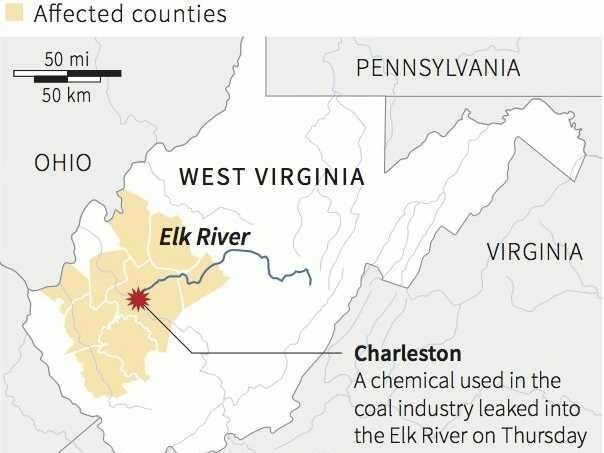 Lawmakers in West Virginia—where Republicans recently took control of the House and Senate—"are considering a series of proposals that would weaken a new chemical tank safety law, remove stronger pollution protections for streams across the state and protect the coal industry from enforcement actions over violations of water quality standards," Ken Ward reports for the Charleston Gazette. The proposals come a little more than a year after a January 2014 chemical leak that contaminated the drinking water of 300,000 people in Charleston and surrounding communities. The U.S. 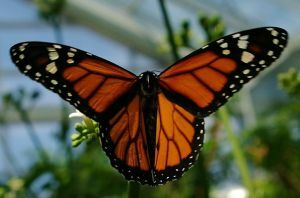 Fish and Wildlife Service has started a conservation fund to save monarch butterflies, Sarah Gonzalez reports for Agri-Pulse, a Washington newsletter. The federal agency announced on Monday $3.2 million in funding to increase habitat for the monarch butterfly, whose numbers are estimated to have fallen by 90 percent in recent years after reaching 1 billion in 1996. Increased use of herbicides, which have decreased the availability of milkweed, the butterflies' main food source, are to blame for a decline in numbers, said Dan Ashe, Fish and Wild director, Gonzalez writes. "In an effort to reverse the situation, FWS is providing $1.2 million to the National Fish and Wildlife Foundation, which will start the Monarch Conservation Fund to be matched by private and public donors. The fund will provide the first dedicated source of funding for projects working to conserve monarchs." The conservation fund will be "dedicated to habitat restoration that will involve planting native milkweed and nectar plants," Eric Johnson reports for Reuters. "The Fish and Wildlife Service is putting up $2 million in addition to funds it previously allocated to monarch conservation efforts, including improving more than 200,000 acres (81,000 hectares) of habitat while supporting over 750 schoolyard habitats and pollinator gardens." Rural Nebraskans could soon have a much easier way to vote. Lawmakers are going to vote on a proposed bill to expand mail-in ballots to all counties, Grant Schulte reports for The Associated Press. Secretary of State John Gale said the move would save money and increase voter turnouts in areas with poor roads or poor weather. Currently, three states—Oregon, Washington and Colorado—conduct elections entirely by mail, Reid Wilson reports for The Washington Post. 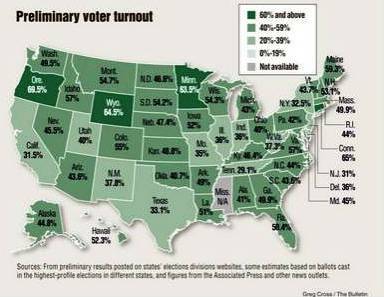 Oregon had the highest voter turnout in the November midterm elections, at 69.5 percent, Taylor Anderson reports for the Bend Bulletin. Colorado reported a 55 percent turnout and Washington 49.5 percent. Oregon lawmakers are proposing to make it even easier for voters, Wilson writes. Secretary of State Kate Brown introduced a bill last week that would automatically add eligible citizens to the register roll. Tulsa World has published an investigative series studying the rise in Oklahoma's earthquakes and the possible link to the oil and gas industry's use of injection wells for wastewater. In 2014, Oklahoma led the lower 48 states in earthquakes with 585 of 3.0 magnitude or higher, which is more earthquakes than the state had in the past 35 years combined, reports Ziva Branstetter. 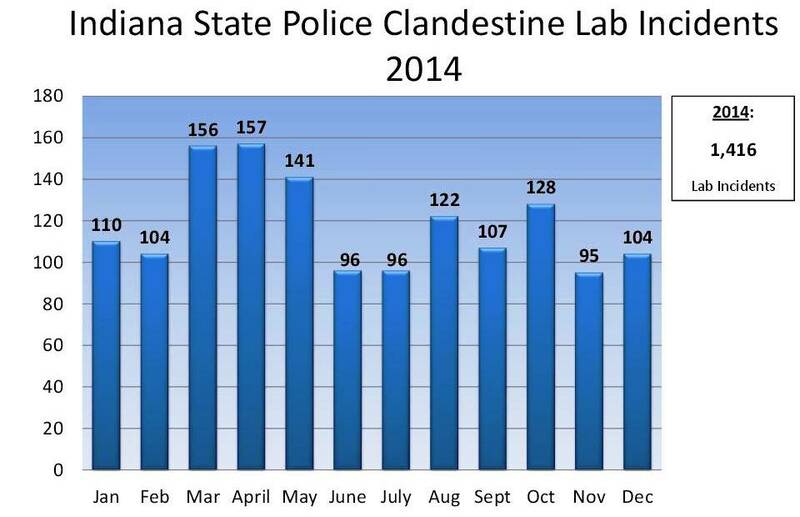 "The state has about 3,200 active disposal wells," Branstetter writes. 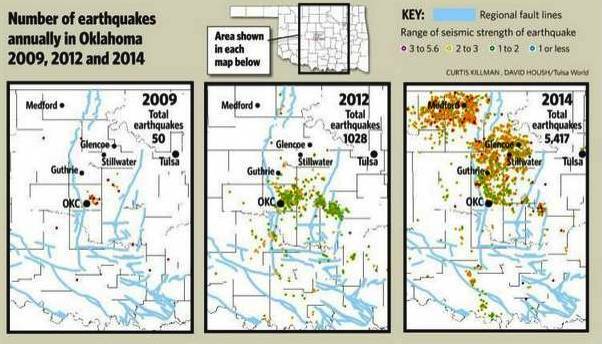 "The United States Geological Survey and several scientific studies have attributed Oklahoma's spike in earthquakes to these wastewater disposal wells, but key state officials say they need more evidence." Republican Gov. Mary Fallin told the Tulsa World, "At this point in time, I don’t think we have enough information to truly understand what is causing earthquakes. We know a lot of it’s just natural earthquakes that have occurred since the beginning of the earth, but there has been some question about disposal wells." That's a common response from state officials, despite mounting scientific evidence pointing the finger at injection wells. Oklahoma State University geology professor Todd Halihan, a member of the state's new earthquake committee, said trying to speak to officials about the link between earthquakes and injection wells is similar to the climate change debate because scientific data shows one thing and officials believe another. Halihan told Branstetter, "In terms of the peer-reviewed data sets, I don’t know of a paper that’s not attributing our seismicity to injection." View interactive graphics on earthquakes and injections wells in Oklahoma. In at least six states from Virginia to Oklahoma, lawmakers are contemplating using taxpayer money to allow parents to design a custom education plan for their children, Stephanie Simon reports for Politico. Twenty-one states currently subsidize tuition for students attending private schools, and while the new program would allow more flexibility, critics think it could lead to waste or lack of quality education. The new program, called Education Savings Accounts would involve the state's giving funds it would have given to public schools directly to the parents of students. Parents could spend the funds, which would be between $5,000 and more than $30,000 per year, to pay for "personal tutors, homeschooling workbooks, online classes, sports team fees and many types of therapy, including horseback riding lessons for children with disabilities," Simon writes. "They can also spend the money on private tuition or save some of it for college." Thus far ESAs exist only in Arizona and Florida. Last week bills to create the accounts cleared panels in Virginia and Mississippi legislatures, and the idea is likely to come up in sessions in Iowa, Nebraska, Nevada, Oklahoma, Texas and possibly Rhode Island and Tennessee. Tennessee state Rep. John DeBerry Jr., a democrat, said, "We created public education. It didn't fall from the sky. It wasn't divinely given to us. . . . If the status quo isn't working, it needs to be changed. One example of someone already benefiting from the program is Kathy Visser. She receives $27,000 per year from Arizona to design an education plan for her 10-year-old son Jordan, who has cerebral palsy and struggled in traditional schools. Every week he attends sessions with a private reading tutor, science classes at a local museum, piano lessons, swim practice and therapeutic horseback riding. She must provide her son with education in the core subjects, but she can decide how she wants to do that. Some traditional public school advocates do not support ESA because they don't think it's right to force taxpayers to pay for whatever curriculum a parent decides upon. Randi Weingarten, president of the American Federation of Teachers, said that ESAs create "an unregulated, unaccountable market. Instead of the exit strategy from public education that these programs represent, we need a renewed commitment to strong neighborhood public schools for every child." Others think the initiative will result in a two-tier education system in which families with the time and energy to take advantage of the ESAs will flourish, while those with less income, education or fluency in English will remain with the public system. Tennessee Republican Gov. Bill Haslam's attempt to expand Medicaid died in a state senate committee last week after the bill received strong opposition from a powerful conservative group, Perry Bacon reports for NBC News. Under the agreement between the Obama Administration and Haslem, "Tennessee would accept more than $1 billion in federal funding to expand Medicaid, as allowed for in the Affordable Care Act, but Obama aides would allow Haslam to essentially write staunchly conservative ideas into the program's rules for the state." But Americans for Prosperity, the national conservative group whose foundation is chaired by controversial billionaire David Koch, "argued Haslam was just trying to trick conservatives into implementing Obamacare in their state by giving it a new name," Bacon writes. "AFP campaigned aggressively Haslam's plans for the next six weeks, even running radio ads blasting GOP state legislators who said they might vote for it." Despite Haslam's popularity among Republicans—receiving 70 percent of the vote in November and having an 86 percent approval rating—fellow Republicans weren't buying what he was selling. Seven Republicans on the 11-member committee shot down the plan, Dave Boucher reports for The Tennessean. Haslam told reporters, "I think this whole sense of distrust of the federal government. Well, I could've told you that was, that our legislature felt that way (before the special session). It was so much bigger than I thought." Expansion would have funded health insurance to 280,000 low-income Tennesseans. The Wyoming Senate last week rejected Medicaid expansion by a 19 to 11 vote, James Chilton reports for the Wyoming Tribune Eagle. Opposing Republican senators argued against the bill, saying that they didn't trust the federal government to keep up its end of the bargain to pay costs or that expansion would only increase the national debt. Expansion would have helped insure 17,000 residents. In Arkansas last week, the House passed a bill "to end the Medicaid private option by the end of 2016 and find another solution for the state's health-care program," Daniella Kloap reports for ArkansasOnline. "The House passed the legislation with 80 for, 16 against and three voting present, and the bill will go back to the Senate for approval after representatives amended the bill to add co-sponsors." A pair of Republican state senators in Indiana are expected to introduce an anti-meth bill today that would limit purchases of cold medicine containing ephedrine or pseudoephedrine—ingredients used to make meth—to anyone with a meth conviction, Evan Hoffmeyer reports for WTHR 13 in Indianapolis. The bill "would require courts to report methamphetamine related convictions to the National Precursor Log Exchange," and pharmacists, in any state, would refuse to sell those people more than 3.6 grams per day and 9 grams in 30 days, Hoffmeyer writes. Truck driver is the most common job in America, according to U.S. Census Bureau data, Quoctrung Bui reports for Planet Money. 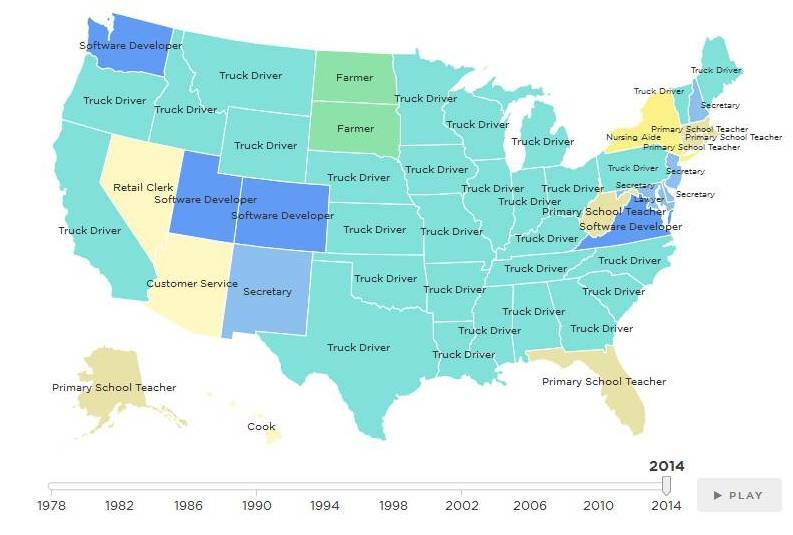 While secretary was most common in the 1970s, truck driver took over the top spot in the 1990s and has held on, mostly because the two biggest trends affecting U.S. jobs—globalization and automation—have not impacted truck driving. "A worker in China can't drive a truck in Ohio, and machines can't drive cars (yet)."